The view is spectacular! 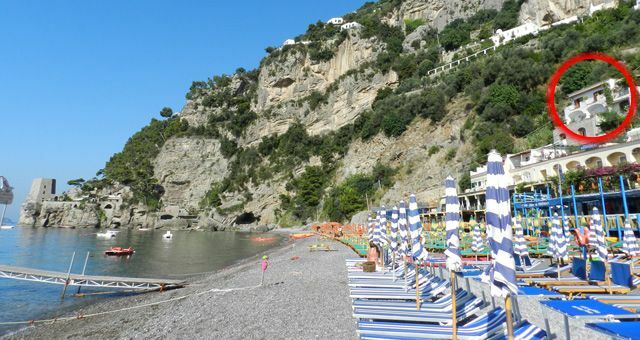 The beach of Fornillo is unique. A bay between rocky mountains and green hills. La Dolce Vita residence used to be a simple fishermen’s house, the only house on the beach. Things have changed. Now you have six bedrooms on two floors, with balcony, terrace, small gardens. Facing the sea. Full south. It is still simple and quiet. And now we have a fantastic path leading to the center of the village strolling along the sea for ten minutes. Not to speak about the famous stairs of Positano! To visit Positano means to do stairs! You have restaurants down the beach, you may enjoy a sweet “far niente” on the beach, or go every day at the discovery of the beauties of this land. Hiking on the mountains along the “Path of the Gods”, take a boat to the next islands: Capri, Ischia, Procida or discover Pompeii, Herculaneum, Paestum or Amalfi and of course Neaples! We will do our best for your holidays! Be our guests! Pets are welcome. Smoking is not allowed.